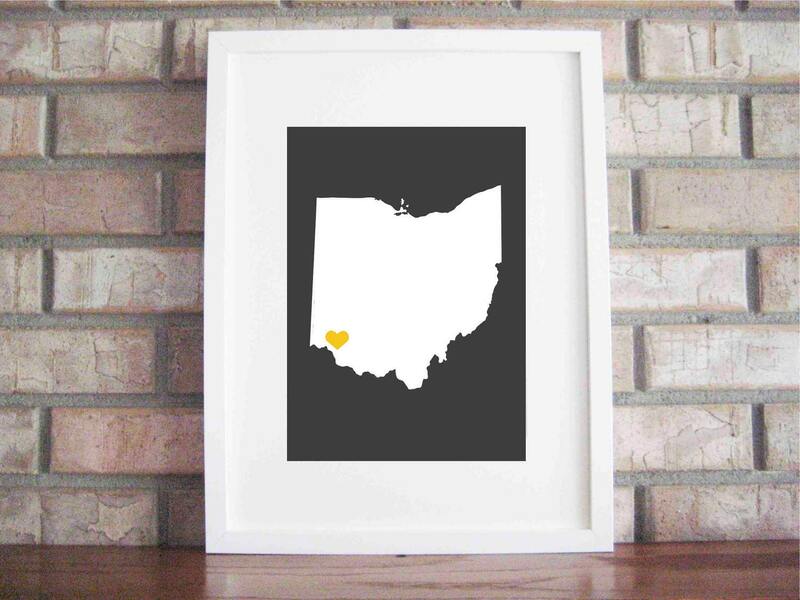 House Stuff Works: Ohio, the Heart of It All! 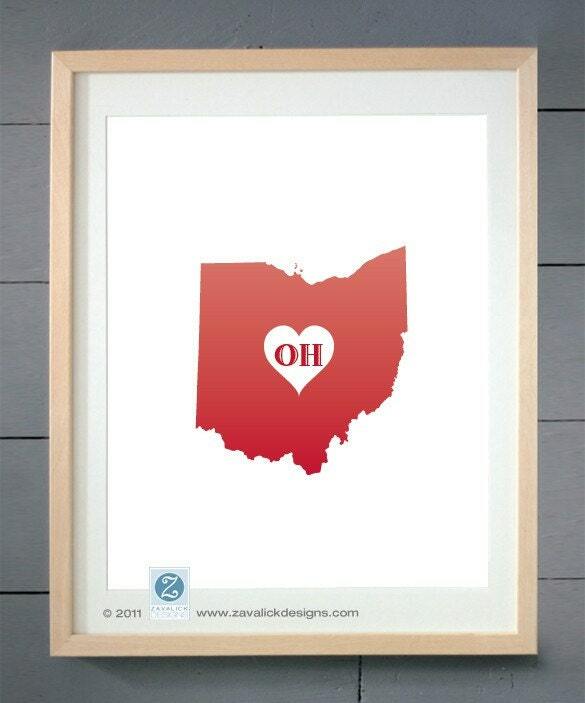 Ohio, the Heart of It All! I have a new lust. State love art and prints. 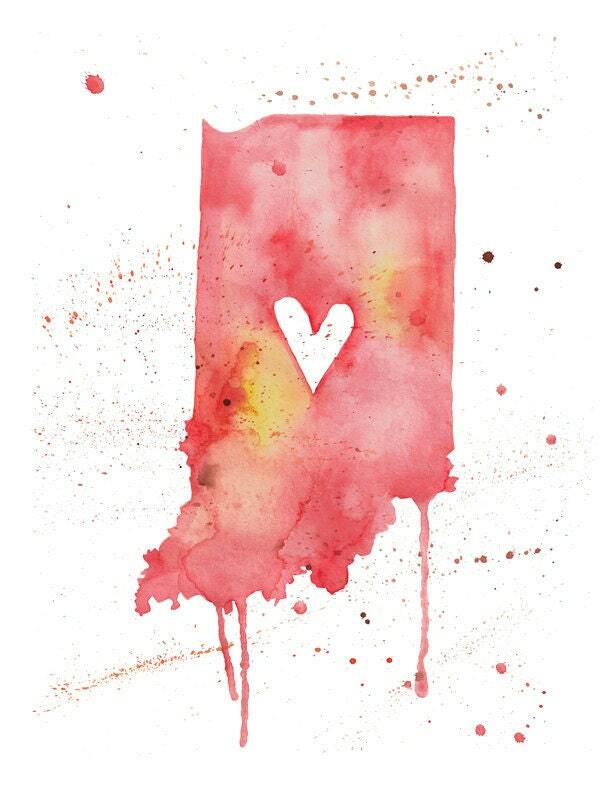 Artwork is such a personal decision, and I love that I can represent O-h-i-o, even here in Indiana--- without being tacky. These would be perfect for a gallery wall or picture ledge! 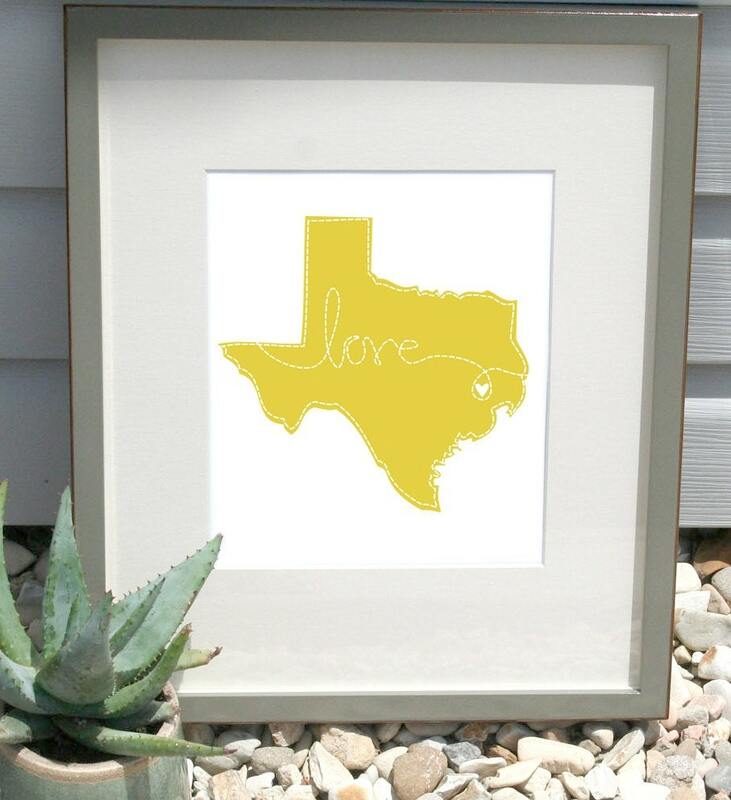 Here are some of my Etsy faves featuring state art (and other good stuff). They're super original and affordable... enjoy! 1. LilyGene. I love these prints. 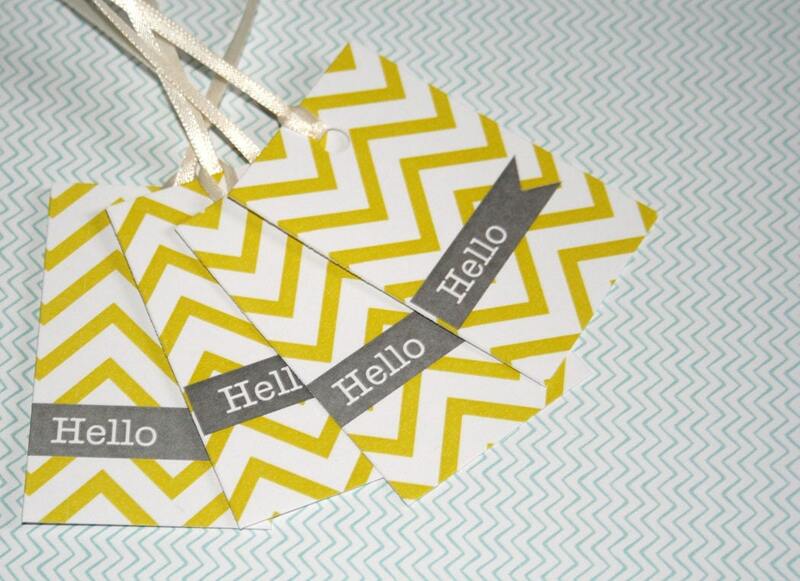 They're clean, fun and graphic, and come in all sorts of fun colors. Or, you can customize your own! Her shop features all sorts of playful graphic items, in addition to state prints. 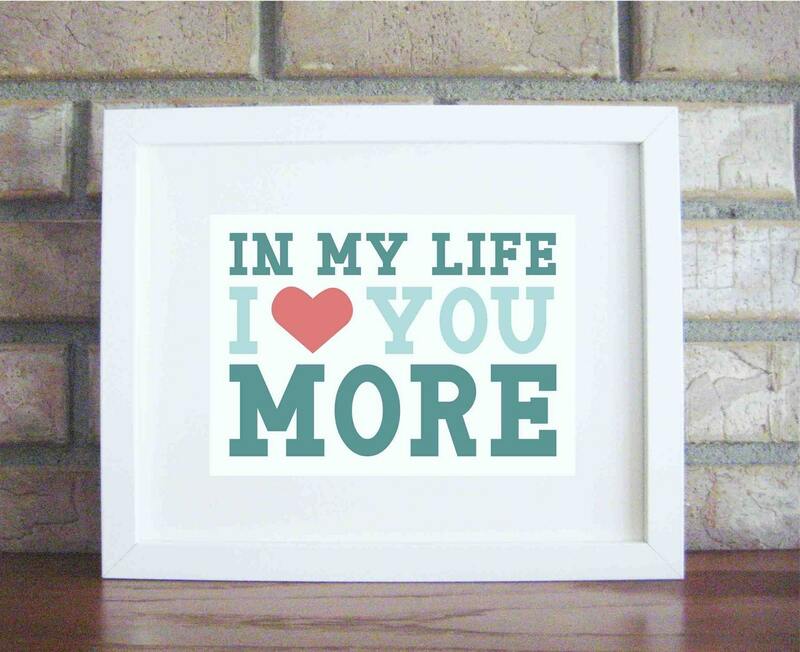 Look how awesome they look in a simple Ikea-style frame; it's so very West Elm. 3. Zavalick Designs. 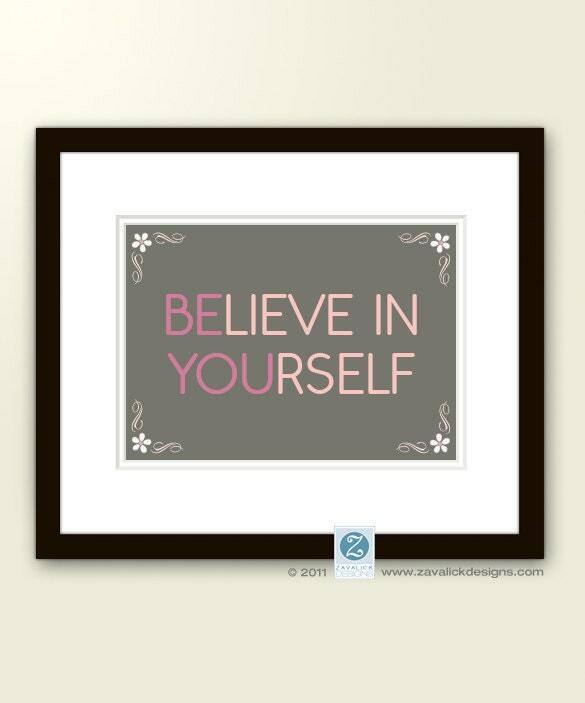 Cool and graphic - she also has tons of other creative prints, $14.50 for an 8"x10". Wow! 4. RootedInPaper. 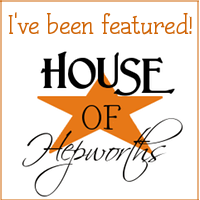 She creates all sorts of paper prints and products, like wedding invitations and art prints. She had me at chevron.